At Lingey House, the Modern Foreign Language we learn is French. French is an international language, spoken across five continents by more than 220 million people. As well as being the official language of our closest continental neighbour, French is the second most widely learned foreign language after English. 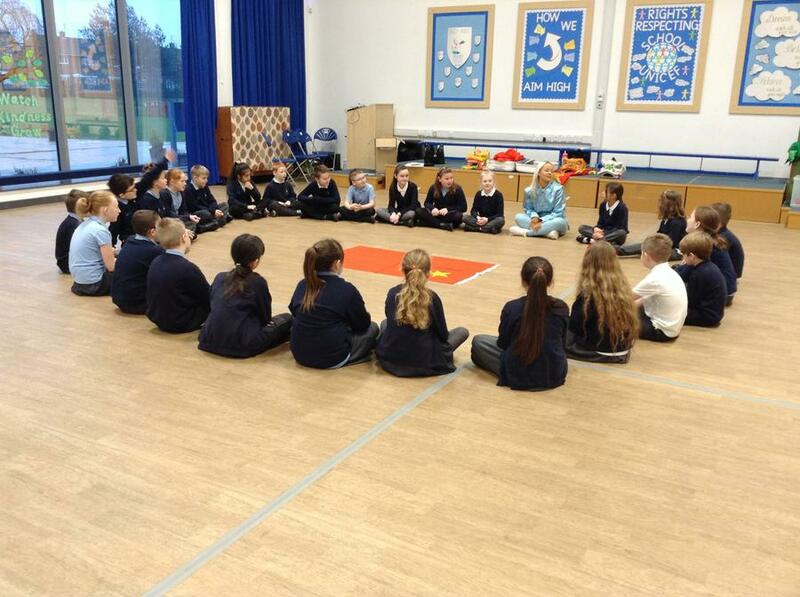 Children in every KS2 class learn French in a weekly, dedicated lesson, taught by a language specialist. Introductions and numbers are taught throughout the Key Stage. 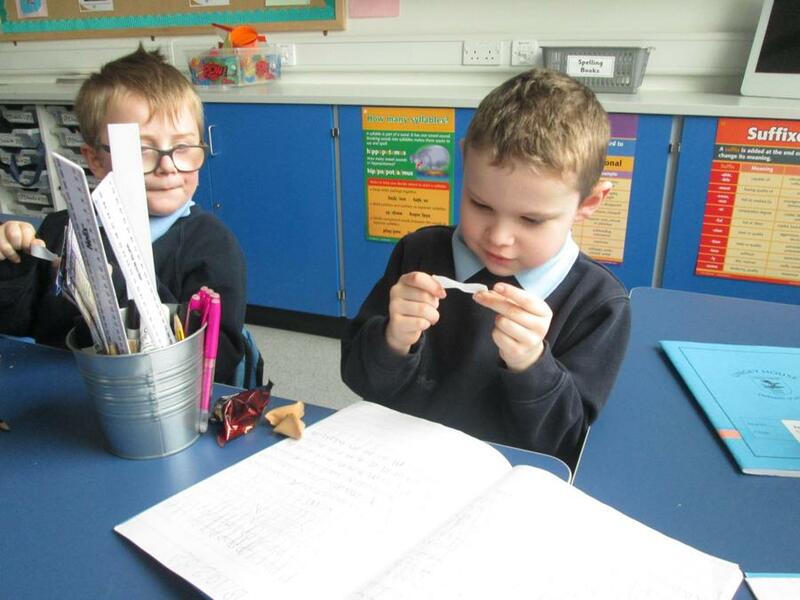 Dictionary skills are also taught and practised throughout Key Stage Two, as are phonics. Lingey House has an international focus as a thread throughout our school curriculum where appropriate. 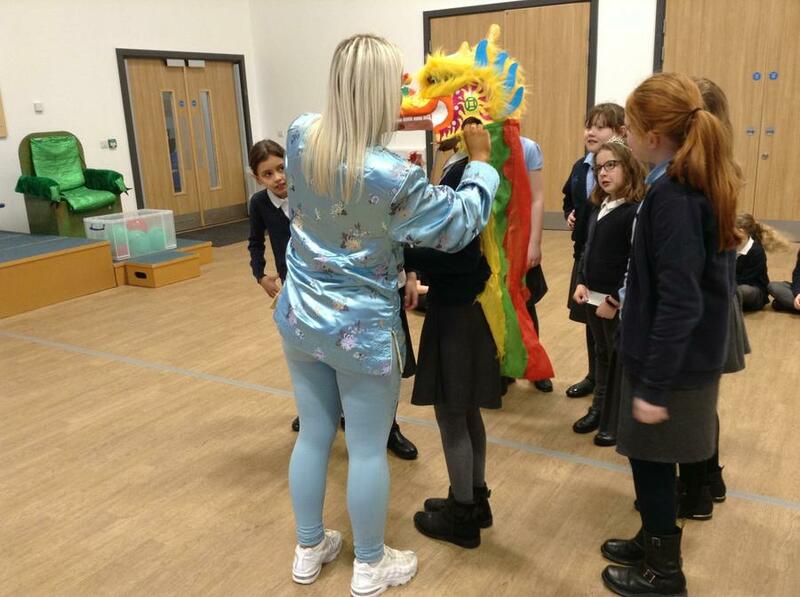 We aim to help children have greater awareness of countries and cultures other than our own, and to broaden their experiences beyond our country. We hold the full International School Award, awarded by the British Council. We have a partner school in India and today, we managed to talk to them through Skype. It was quite exciting to chat with them as they were at the end of the day, but we were at the beginning of ours. We asked each other questions and were interested to hear that their favourite season is summer, and so is ours! We were quite taken by the fact that French people call April Fools' Day 'Poisson d'Avril', which means 'April Fish Day', so we even had a go at playing a little joke by sticking a fish on someone's back! Our new partner school is called Bitame Lucia International School in Cameroon. Cameroon is a country in central Africa. We have been some projects with our new partners on food. 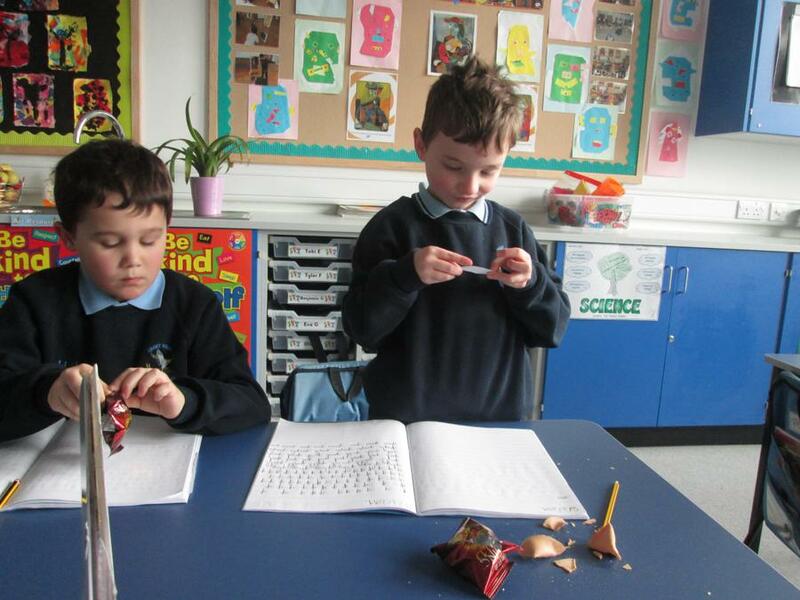 Year 3 have been working on a food project, for example looking at our favourite foods and celebration foods. We found that some are very different, but some are the same –like cake! Here is an example of the information about food that we sent to our African friends. And here is and example of some information that they sent back. 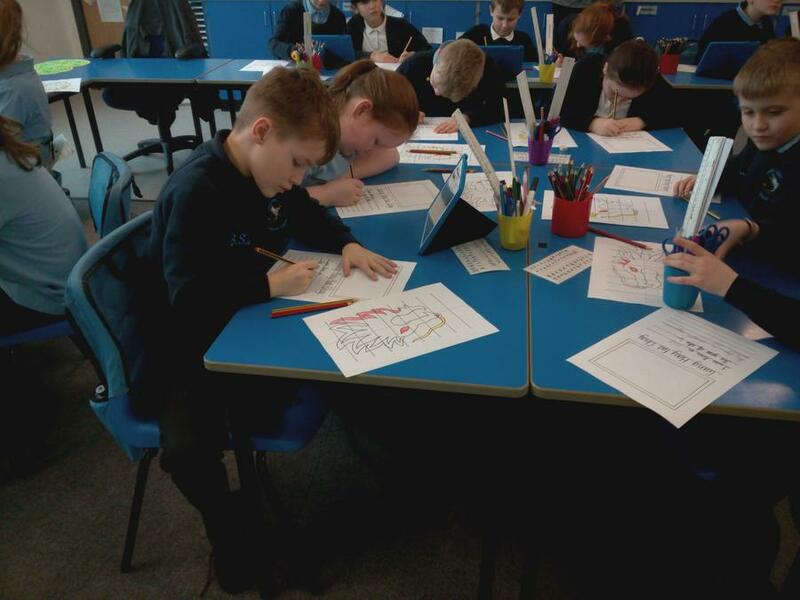 Year 1 have also been working on a project with our Cameroonian partner school. 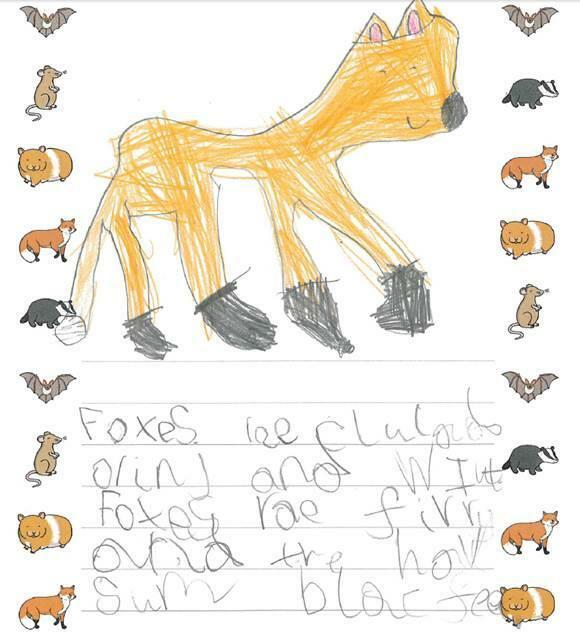 We have been comparing animals in our local area with animals in Cameroon. 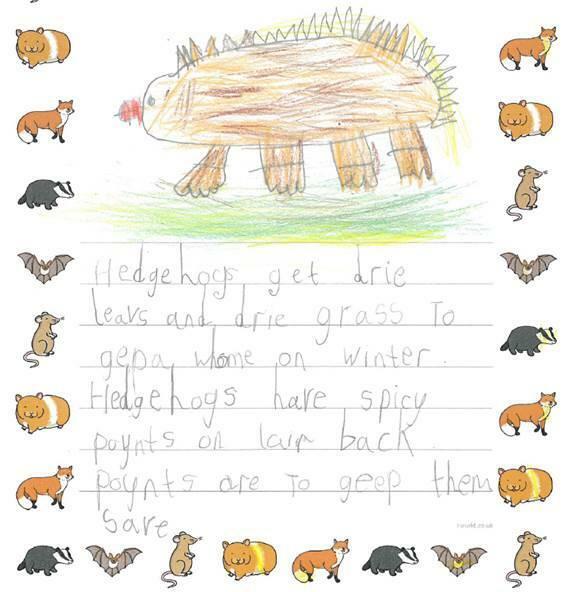 We drew some pictures of the animals which live in our local area, and our partners did the same. Most of our animals were very different - we drew lots of badgers and foxes, while their animals included elephants and crocodiles! It was good to see some similarities, though, as we found out that they also have fish, cats and dogs in Cameroon. One of the interesting things that we have found out is that we might see an animal that our African friends have seen! Swifts are birds which spend April to September in the UK, then they fly to Africa for the cold winter months. We are looking forward to seeing swifts soon, as they might have been flying over Bitame before they came! Why don’t you try to spot a swift in the warmer weather? Can you spot which are the pictures from our environment and which are close to the school in Cameroon? 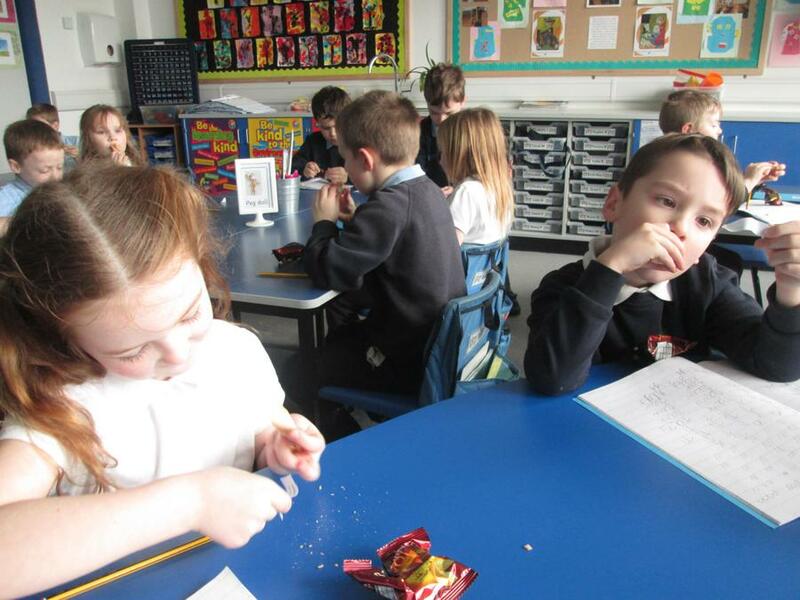 Year 3 have read a story about a caterpillar which has eaten lots of different foods! We enjoyed joining in with the words and acting it out. 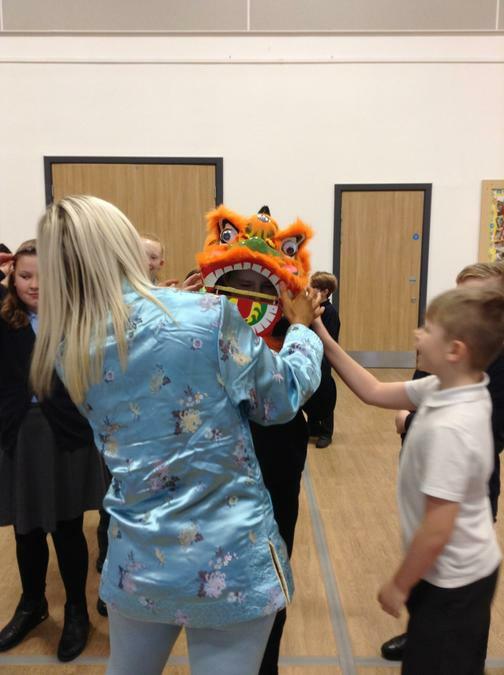 We have celebrated Chinese New Year in style at Lingey House. Here are some activities that our classes have taken part in. 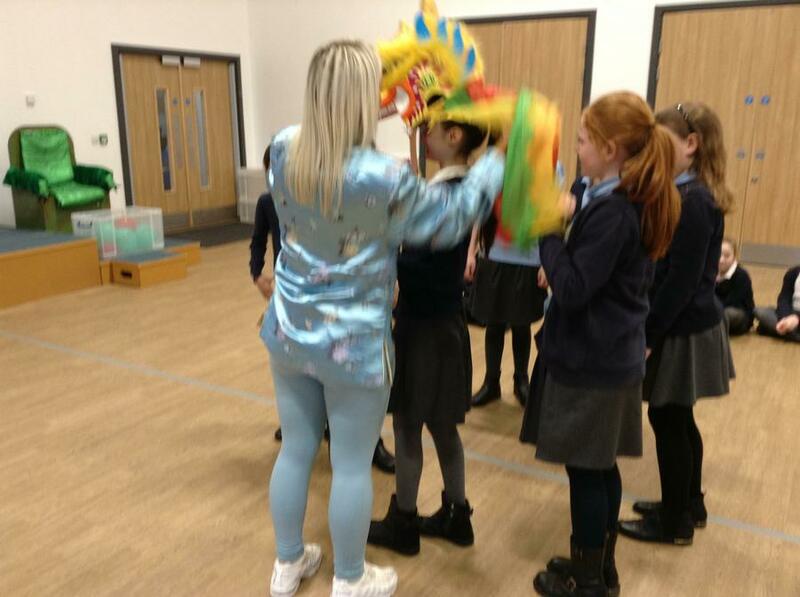 Not only did we have a wonderful chinois lunch, we have also had a visit from Miss Lucy. She taught us how to do a beautiful chinese dance. 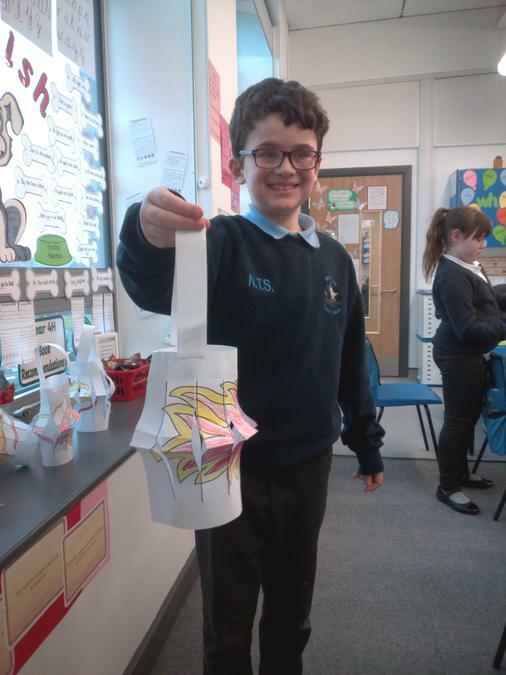 We also made Chinese lanterns and learnt about our zodiacs. We were all born in either the year of the tiger or ox. 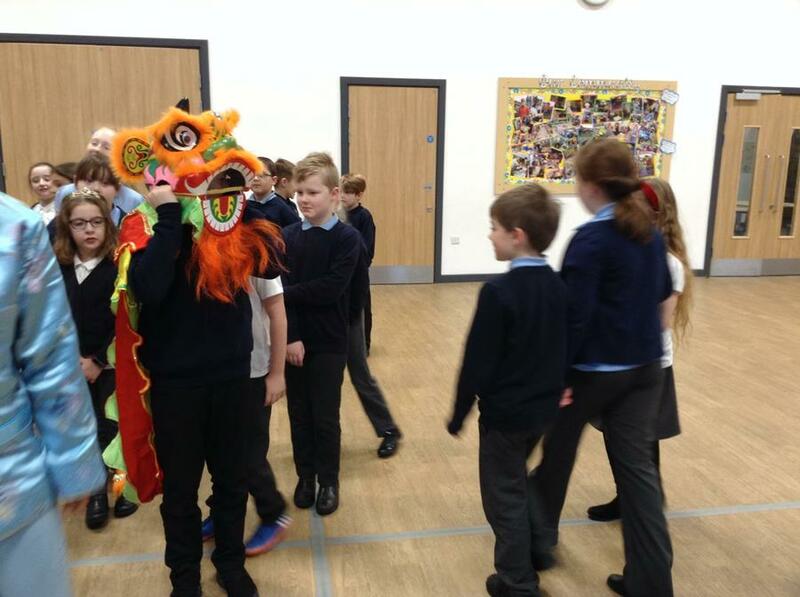 Y2L Celebrate Chinese New Year! 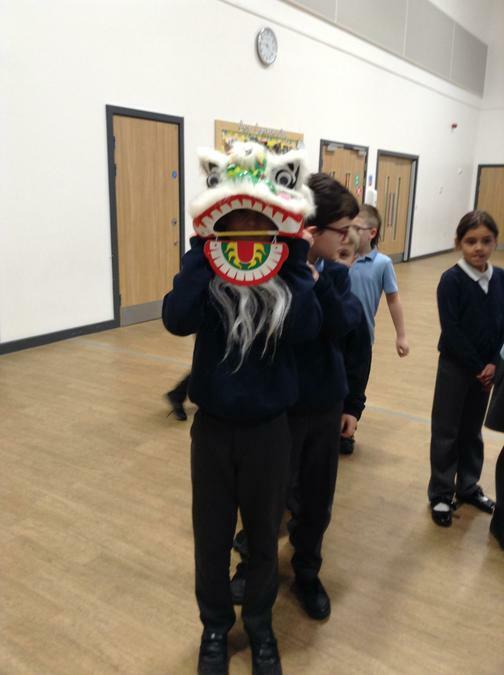 Here are some links to other classes to show how they celebrated this important festival. Year 4 children can now say the date and their birthday in French! We decided that it was easier in French, as the only number you have to change is the first day of the month - le premier! All the other days are just the number (e.g. deux), not like English where you have to change 'two' to 'second', 'three' to 'third' etc. 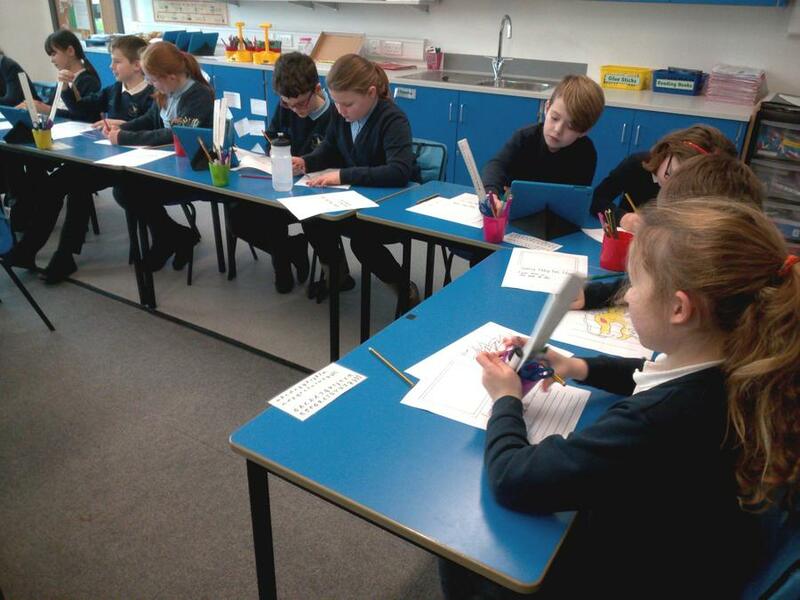 Recently in Year 6, we have been doing roleplays to finish our topic on clothes. 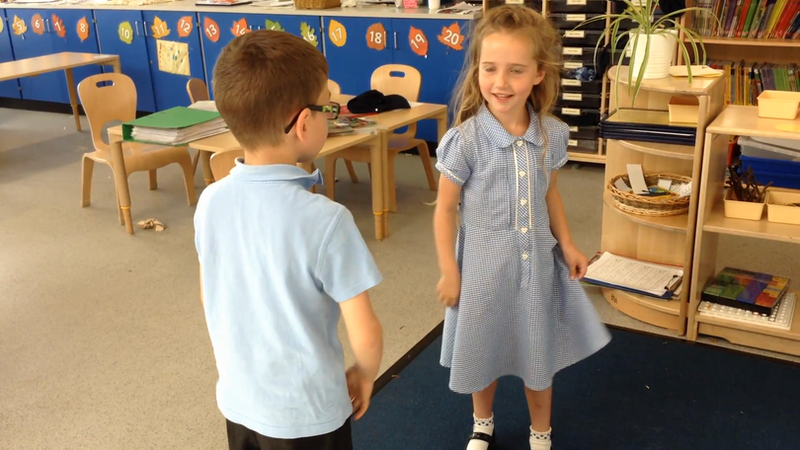 We wrote and performed mini-plays where people went to a shop to buy some clothes. Here are two of our amazing girls doing their roleplay! Schools in China have a compulsory daily exercise programme, but this article is about one school who are doing things differently. 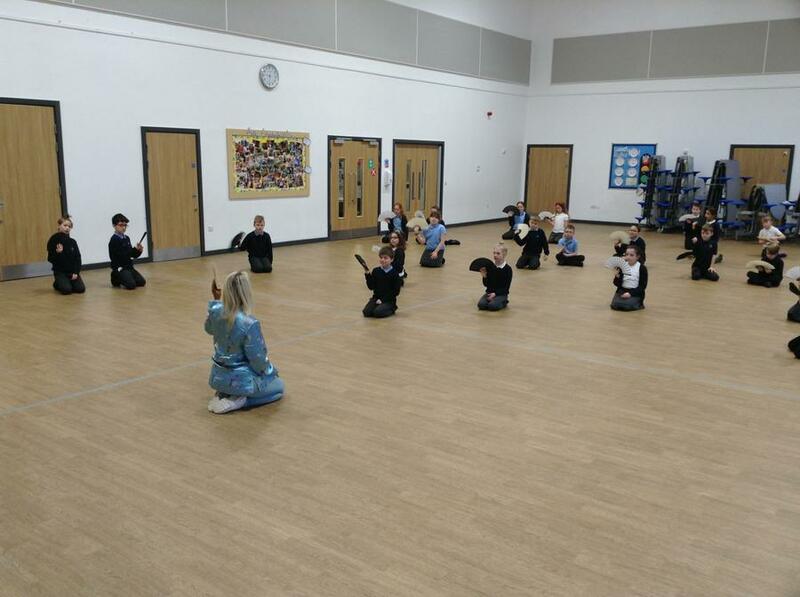 Scroll down on the article to see this unorthodox headteacher. 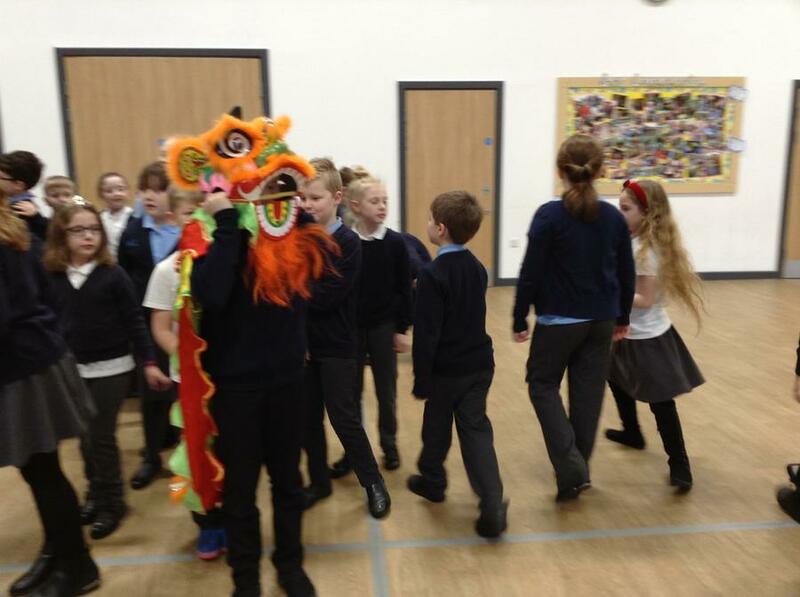 He can be seen here leading what looks like his whole school in a dancing session! All Chinese children do daily exercise as part of their school day, but this one looks like it would be a lot of fun. Year 6 have been writing descriptive sentences in our topic on clothing. Here, Jonah has written one on a whiteboard. Bravo, Jonah! This year, we have taken part in an international exchange of Christmas decorations. 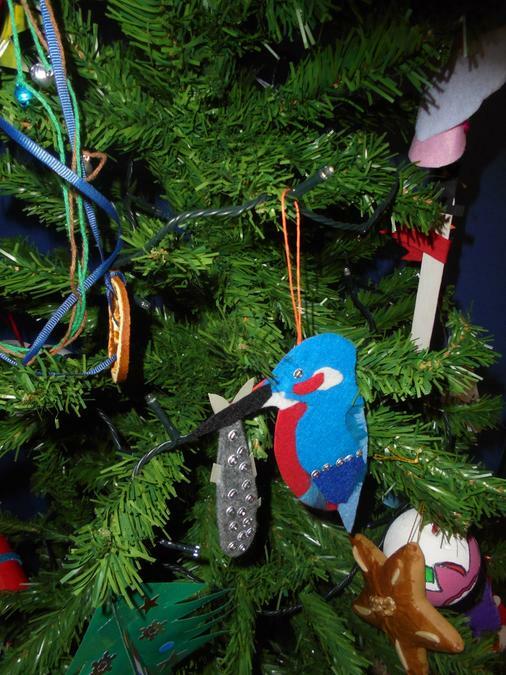 The project involves schools in countries across Europe working together to share Christmas customs, celebrations and decorations. 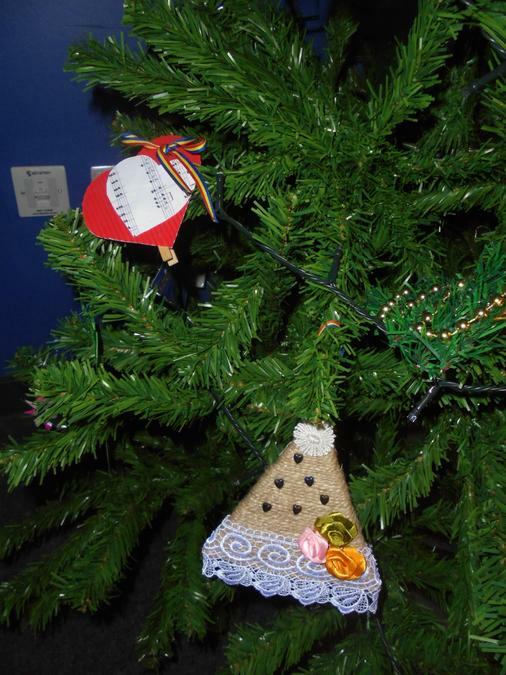 The premise of the project is that each school makes Christmas decorations which relate to their country, and prepare information on how they celebrate this festival. 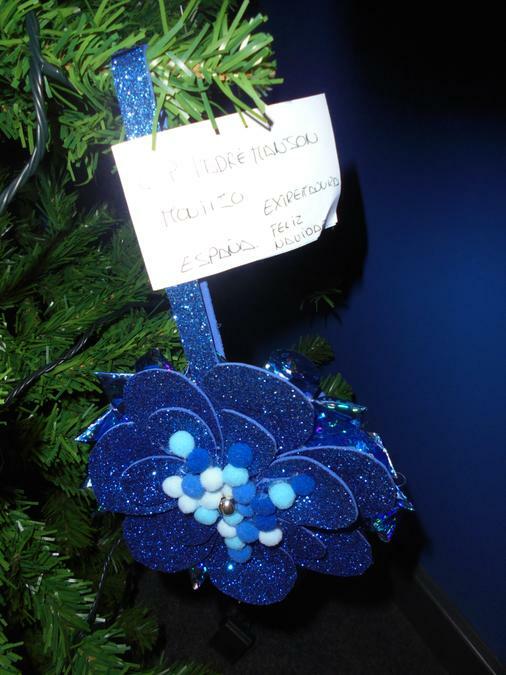 Each school then sends a decoration to every other school in the partnership, along with the information about their country’s customs. Our Art Club made Christmas pudding decorations to show one of our most famous foods from the festive season. The face of the lady at the Post Office was a picture as Mrs Moses turned up with several bin bags containing 24 packages to go to 14 different countries! We were very excited as we received 24 packages from countries all over the continent, from Austria, Croatia, Estonia, France, Germany, Greece, Hungary, Italy, Lithuania, Poland, Romania, Spain, Slovakia and Wales. Here are some pictures of the decorations being opened. This is the special tree that we used to hang all the decorations. 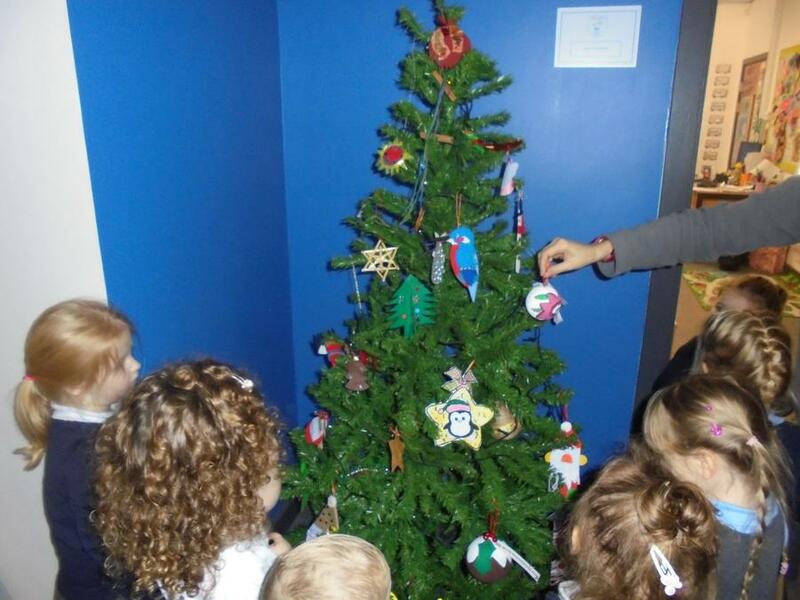 All the classes enjoyed looking at the range of decorations that we had been sent. Just before Christmas, we had a whole-school assembly to see how all the different countries celebrate Christmas, looking at their location on a map of Europe to see how near or far they were. There were videos, slides, poems, recipes, songs, pictures, language files and photographs. It was great to see that we all have things in common (e.g. in all countries, there are presents and special food! ), but lots of interesting differences, e.g. in Austria it is Christkind who brings the presents. It was also very interesting to see where the schools are, for example, there was one in a mountain village. Some schools included videos with Christmas songs sung by children involved in the project. Here is a link to a beautiful Lithuanian song featured in the cultural information – we thought it sounded like a lullaby. We also saw the many ways of saying Happy Christmas. We even received videos showing us how to speak some words in Welsh. Most of the words were completely different to English! Many of the Christmas information packs included Christmas recipes, which some of the children took home to try. Reports so far are that they were a great success! You can find the recipes here. I never knew that children in some countries put shoes under the Christmas tree. It was interesting seeing how different countries celebrate Christmas around the world. Every country had special food. I didn’t know that some people open presents on Christmas Eve. I didn’t know that Lithuania was near Russia. I like how some children get presents from the Three Kings. In Spain they eat grapes at midnight for good luck. I liked the assembly when we opened the presents. I liked the song from Lithuania. We have been looking at traditions in France at Christmas. Did you know, French people have a very special meal on Christmas Eve called Le Reveillon. In some ways, we are similar, as French people eat poultry, like goose or turkey. In some ways our traditions are different, though, as in France, people tend to have oysters as a starter to their special meal. We made some Christmas cards to give our families greetings in French! Y3 this term are learning how to write conversations in French. Here is a short conversation - can you tell what it means? - Bonjour! Je m'appelle Scooby Doo. Comment t'appelles-tu? - Je m'appelle Dora. Au revoir! We realised that they are (to varying degrees) cognates. We know that cognates are words that are the same or very similar to words in a foreign language. Can you think of any other cognates? 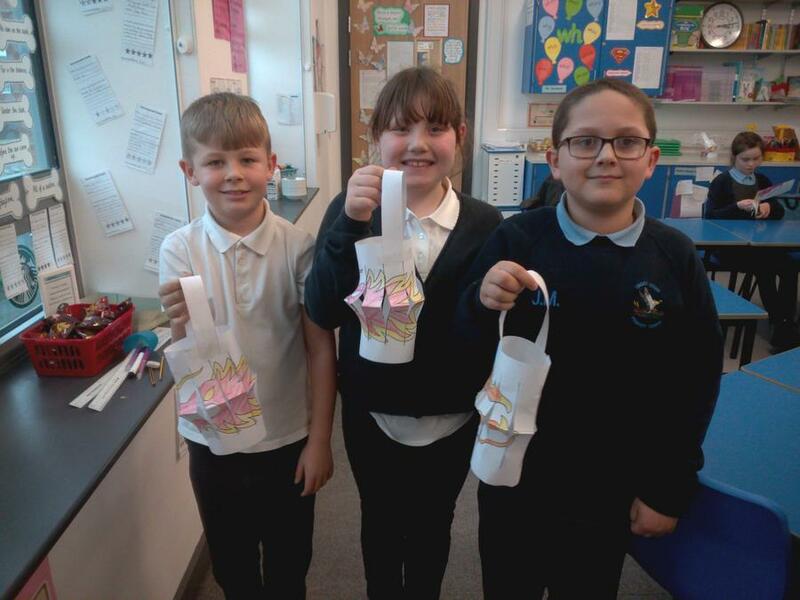 We have had been learning about Diwali which is major celebration in places like India. We know where India is and how long it would take to get there. 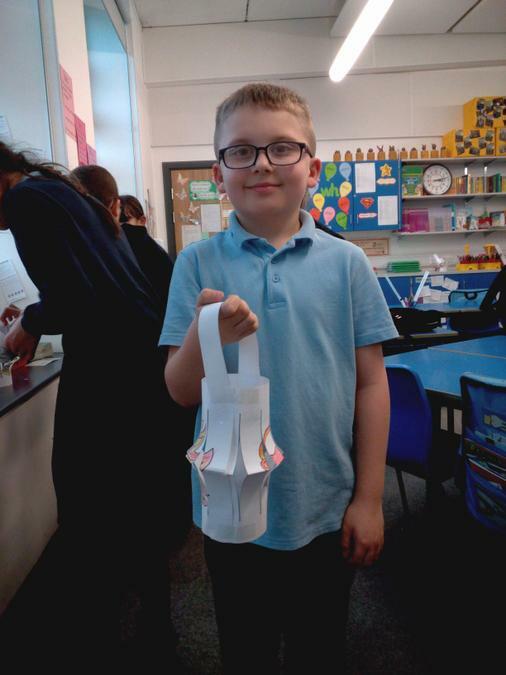 Year 3 have been looking at the story of Diwali and the younger children have been doing lots of crafts for Diwali, as well as reading stories, dressing up and tasting Indian food. Some of the amazing Reception crafts. Diwali fun and our own versions of mehndi patterns in Year 1. Fantastic Diwali activities in Nursery. In Year 6, we have been adding colour adjectives to nouns. 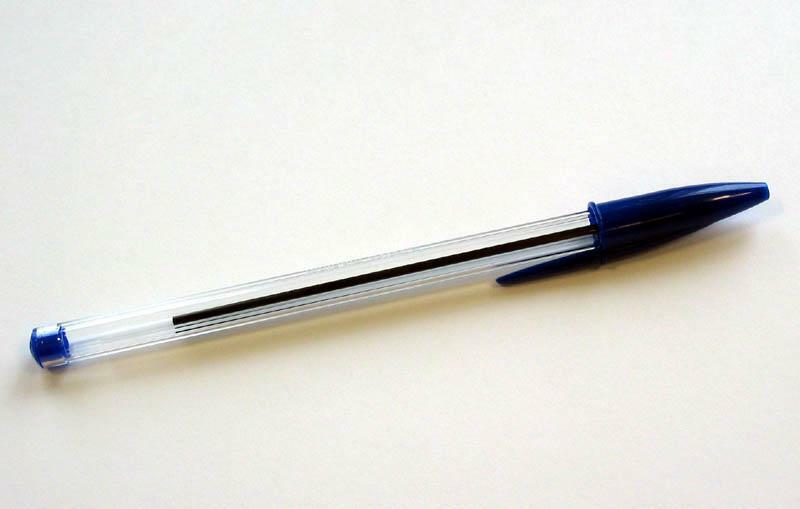 DID YOU KNOW that French people put the colour AFTER the noun! In English, it would be like saying 'jumper red', rather than 'red jumper'. Look at how busy we have been writing items of clothing and colours! This week, all classes have been doing a French trail, looking for animals outside. 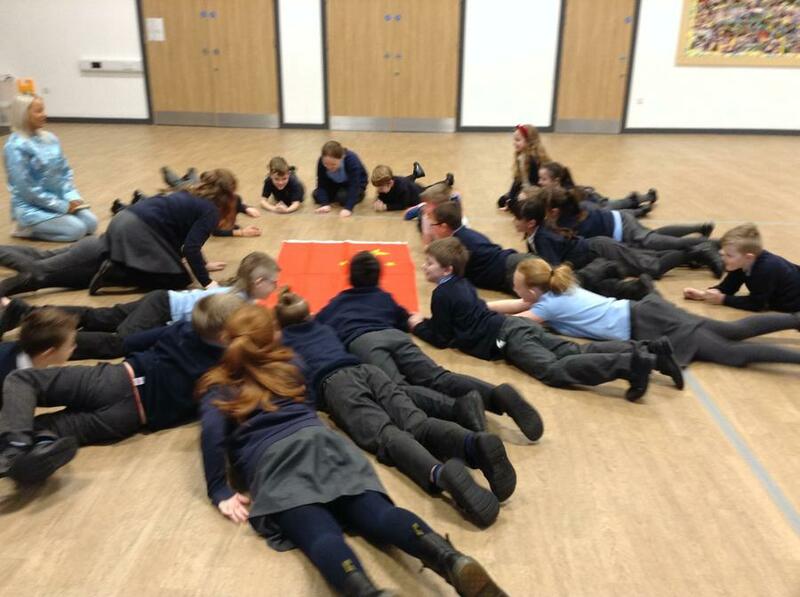 Y2 also played some games and coloured some sheets to help learn the names of the animals on the trail. YR have been colouring in some French flags. We also waved them while we listened to the French National Anthem. The colouring in was amazing - we are excellent artists! We also learned how to shake hands and say 'Salut' this week. 'Salut' is a special word, as it means 'hi' and also it means 'bye'! Year 1 and the Great Fire of London! 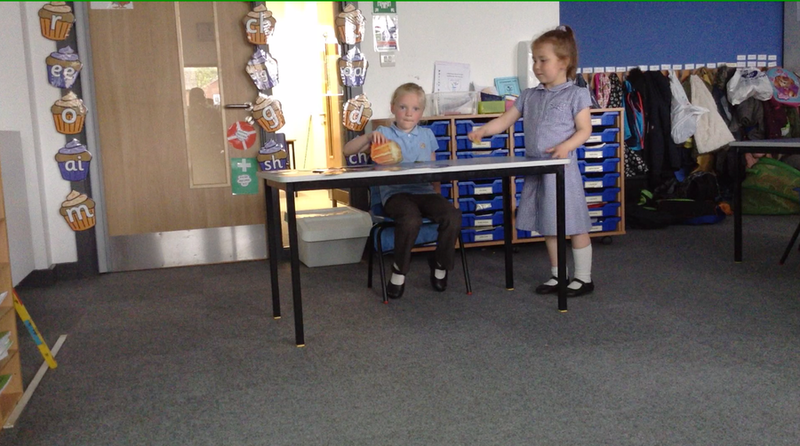 Year 1 have been learning about the Great Fire of London, so they have recorded a role-play in French. Unfortunately the files are too big to go on the website (Y1 worked really hard to learn lots of words in French! ), but here are some screen shots. The children spent some real Euros but unfortunately the bread (or croissant, or pain au chocolat etc. etc.) was not real! "J'adore le pain - miam miam!" "Un pain, s'il vous plait!" 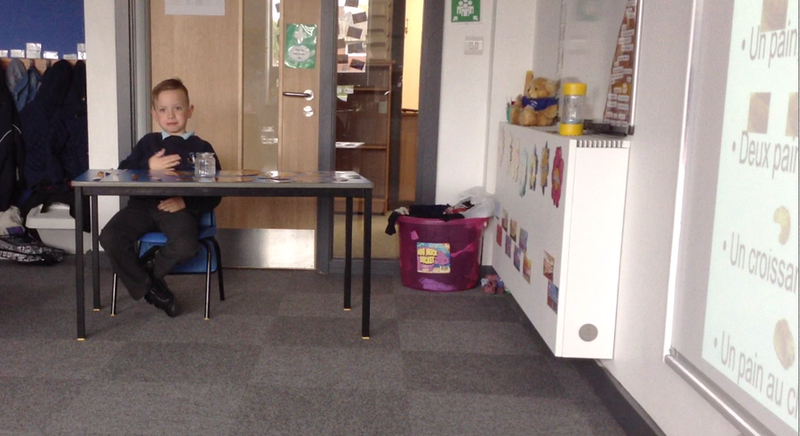 YR have filmed some roleplays as part of revision of introductions. They have even remembered that French people shake hands when they meet. 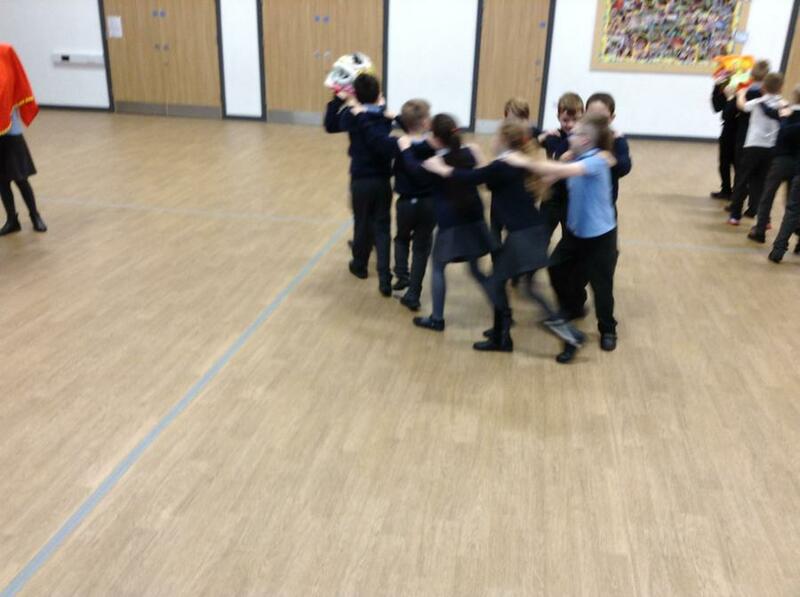 Year 2 have been learning different types of transport. Here are some photos of them doing signs or actions of different modes of transport. Can you guess which one they are demonstrating? This week, some classes have been making Christmas cards in French. Year 6 watched an authentic French video to follow origami instructions to make a Christmas tree out of paper. The French person spoke very quickly, but when we listened carefully, we managed to follow a lot of what they said! Here are some of the beautiful cards from Y5. They involved folding and cutting paper to make a 3D Christmas tree (un sapin) inside. It gave us a chance to practice family words and colours in French. Traditionally, people in France tend to send cards in the New Year (in which they write Bonne Année), rather than at Christmas. Our Reception children have been learning greetings in French - they can say 'hello', 'goodbye' and 'hi'. They also know that 'salut' means both 'hi' and 'bye'! We looked at what France is famous for and have listened to the French National Anthem. We have even 'travelled' to France and had our 'passports' stamped! Year 4 have been learning animal names in French. 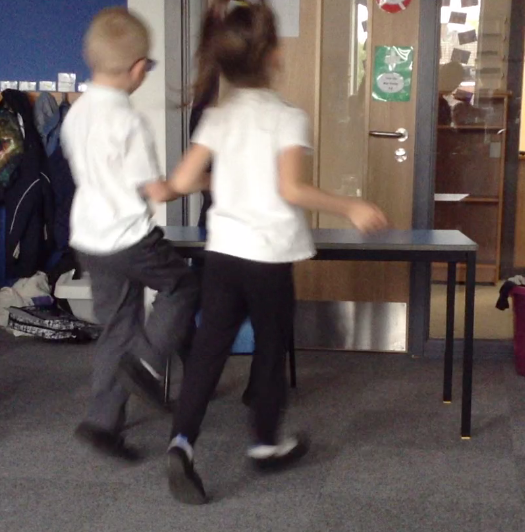 Here are some pictures of us showing the action that we have learnt to help us remember the French vocabulary. Can you guess which animal they are showing? Scroll further down to see the answers. 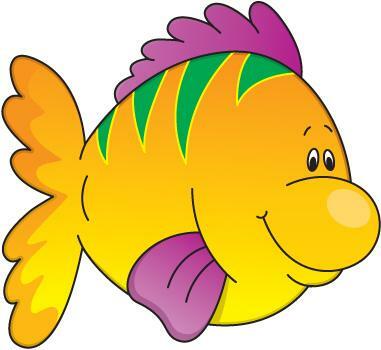 1 – un poisson (a fish) or un chien (a dog)? 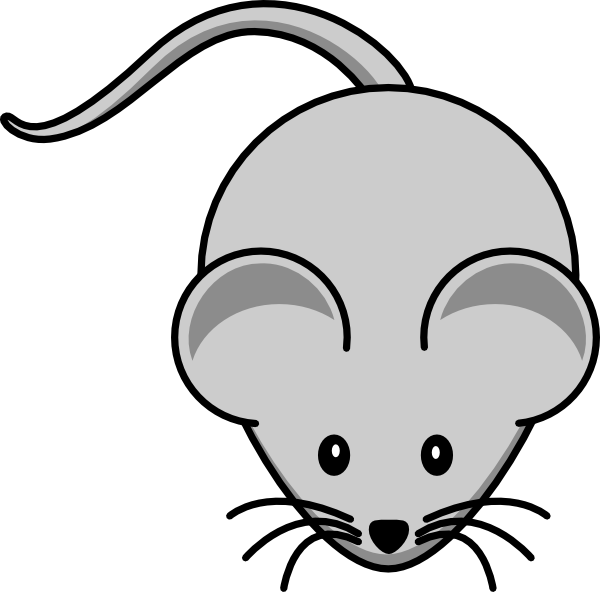 2 – une souris (a mouse) or un lapin (a rabbit)? 3 – un chat (a cat) or une tortue (a tortoise)? 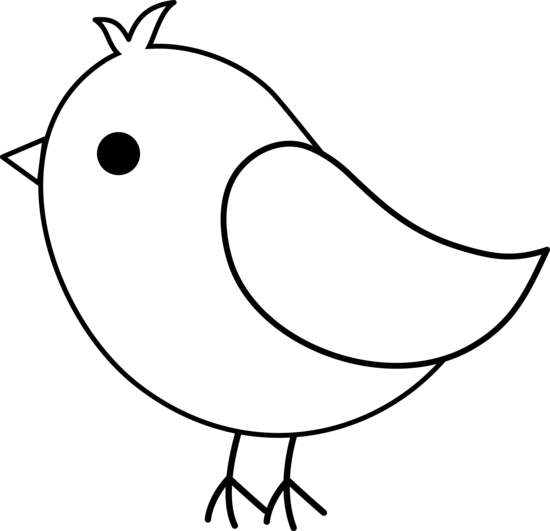 4 – un poisson (a fish) or un oiseau (a bird)? 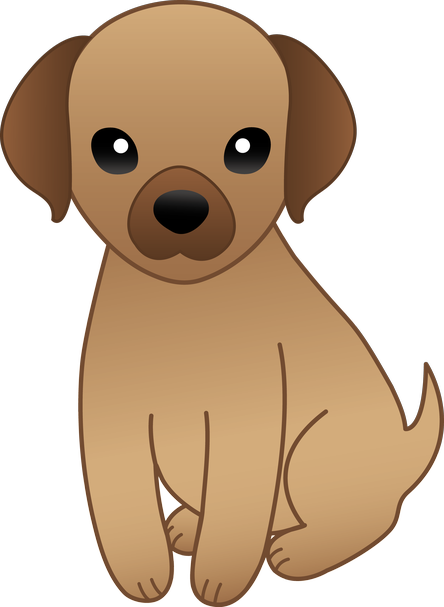 5 – un cheval (a horse) or un chien (a dog)? 6 – un chien (a dog) or une tortue (a tortoise)? 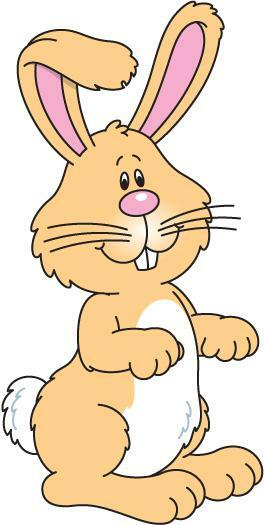 7 – un hamster (a hamster) or un poisson (a fish)? 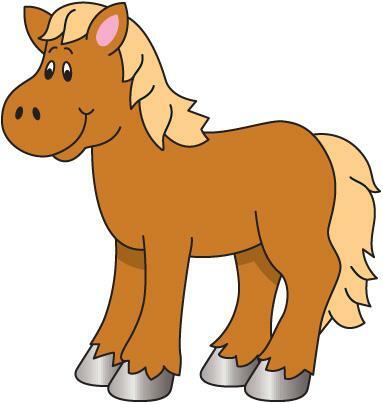 8 – un cheval (a horse) or une gerbille (a gerbil)? Year 3/4 have been learning how to talk about family and have written a letter about a made-up family. We used some familiar names, but the family is imaginary. It is quite long, but we can read it in both French and English. If you want to know what it means, why not ask someone in Year 3/4? Je m’appelle Dominique. J’ai 14 ans et j’habite à Gateshead en Angleterre. Voici une photo de ma famille. Dans ma famille il y a cinq personnes. Mon père a 33 ans. Il s’appelle Simon. Ma mère a 34 ans. Elle s’appelle Claire. J’ai un frère et une sœur. Mon frère s’appelle Blake. Il est petit. Ma sœur s’appelle Ocean. Elle est grande. Et toi, il y a combien de personnes dans ta famille ? We have been very busy this Christmas at Lingey House in MFL. Some of our classes sang songs in different languages at the Christmas production 'Around the World', including in French, Polish and Italian. Nursery children have also got the 'Gallic bug' (that means that they are interested in French! ), and sang a song in French at their Christmas performance in front of parents and carers. Most of us have had time to make a card in French, and we have all watched fun, short videos in French. 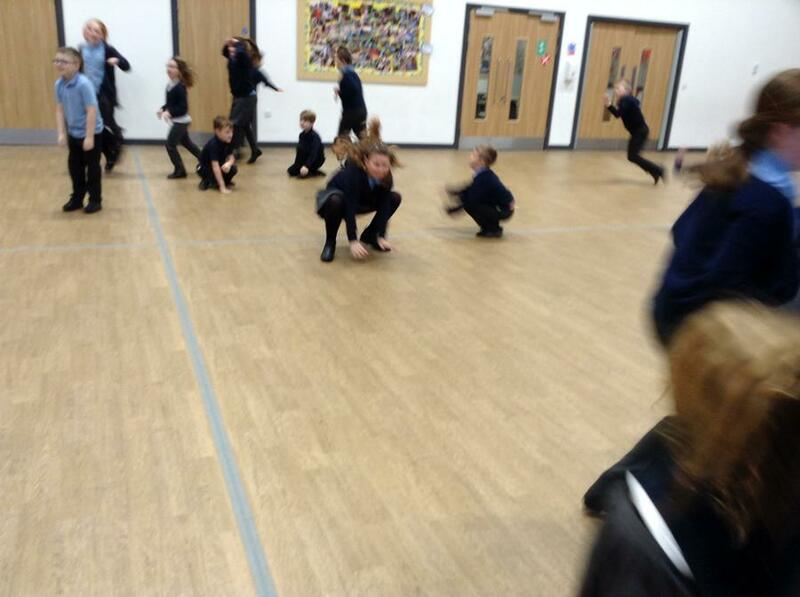 Year 6 have also been doing drama in French, acting out the Nativity and saying the lines in French. Some of the older classes have used bilingual dictionaries to label their Christmas card and we have all learnt to say 'Joyeux Noël' (Merry Christmas). Bonne Année to everyone for 2016 (Happy New Year)- did you know that French people tend to send New Year cards rather than Christmas ones? Our lovely cards in Y1C! We have all been enjoying the new activities, games, songs and videos that Mrs Moses brought back with her from her course in Lille, especially 'les Pouces en Avant'! 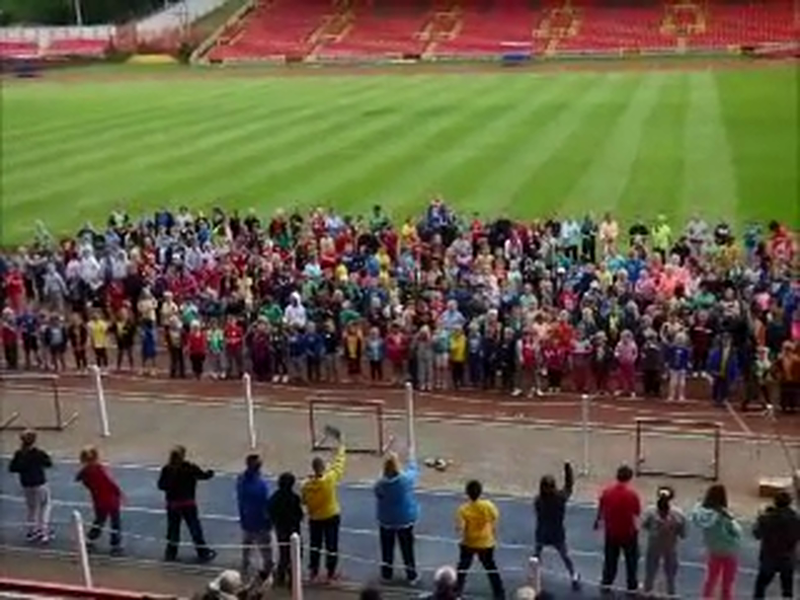 Everyone from Reception upwards learnt this fun song so that we could use it for the 'wam up' for Sports' Day this year. The helpers at the front did a brilliant job leading the song, especially PJ who also held up the cards telling each class when to start, as we chose to build up the song year group by year group. 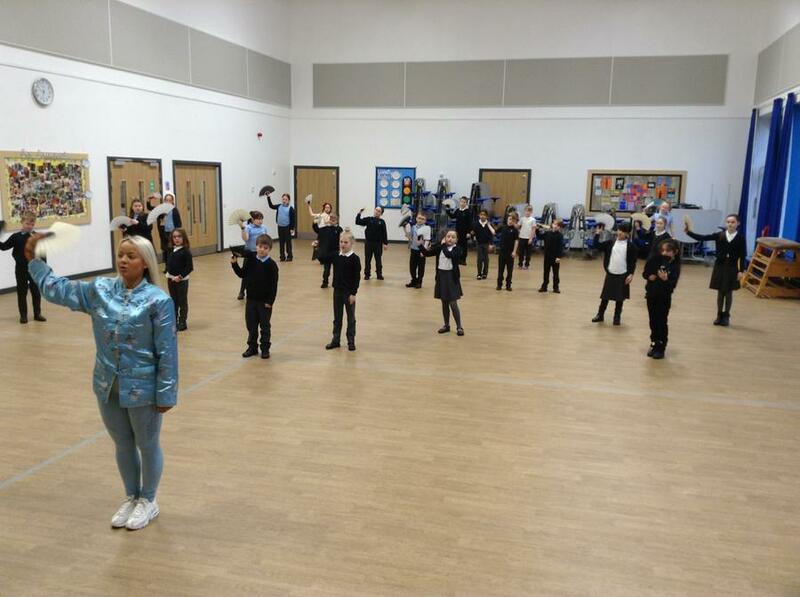 We have had lots of positive feedback about how much fun people have had singing and learning the song. Many children have enjoyed the song so much that they have been singing it at home, with many of their grown-ups joining in! Here are the words to the song so you can sing along! We put forward our entries and kept our fingers crossed and we WON! The winning name was RaLFF, by Callum in Year 3/4. Our prize was a visit by the newly-named RaLFF. All our KS2 children had a visit to the bus, where we heard a lovely story in French. Callum got a copy of the book 'Bleu et Jaune' from Madame Paris (yes, that is her real name!) for naming her amazing bus. It was brilliant and fantastique! The French bus was amazing because it had so many French words to enjoy and learn, and a fantastic book at the end of the visit. The bus was a wonderful sight to see when I stepped on it, it was really good. It had all sorts of books. The bus (which is called Ralff) is very good and really exciting. The lady read us a spectacular book. I enjoyed the French bus because there was there were very fascinating objects; funny puppets and cool books. It is great that the bus came all the way from France. I thought that the Ralff bus had an amazing atmosphere and I can’t believe our school had the opportunity. And here are some pictures. The first shows Madame Paris presenting Callum with his book. 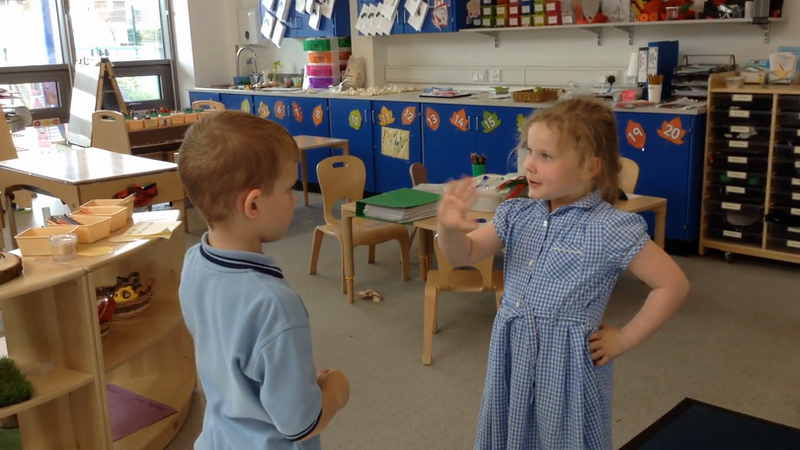 The Reception classes have been learning simple French roleplays and how to count to 10. Use the link and then scroll down to the entry entitled 'Fantastic French' to see a video showing how well they can speak in French! 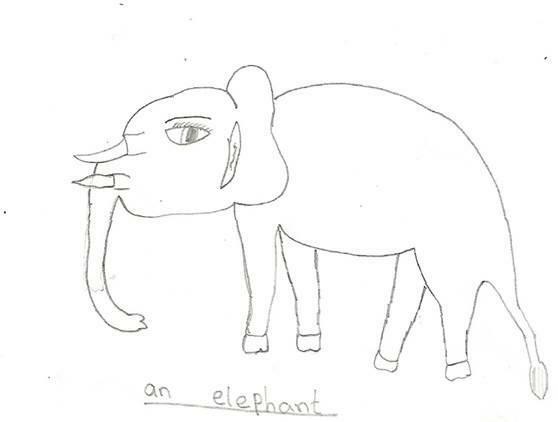 In Mr Ogilvie's class, we have been learning animal names. Year 5 have been practising telling the time in French. Here is a poster to help you to know how to say time on the hour, quarter past, half past and quarter two. To tell the time on the hour, you just say 'il est une heure' for one o'clock, or 'il est ... heures' for other times on the hour. 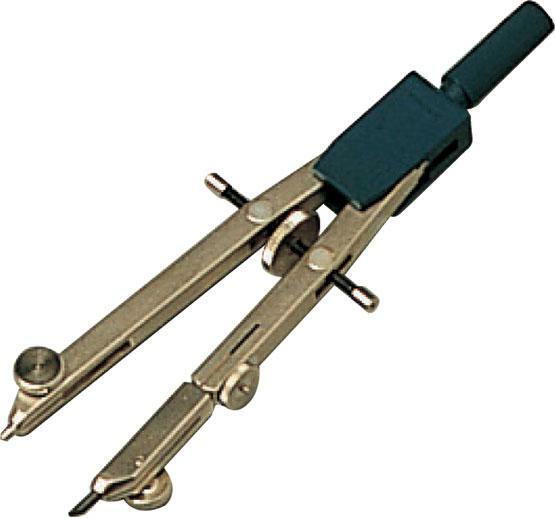 You add 'moins le quart' for 'quarter to'. The above powerpoint slide will hopefully help you. Afternoon Nursery sing Bonjour Ca Va? We hope you enjoy listening to our afternoon Rainbows and Stars singing the song we have learnt this term. PLUS here are Rainbows nursery morning nursery singing the song too. YR - S - SINGING OUR BONJOUR BONJOUR SONG! YRS are superstars at singing in French. We have learnt a song to help us remember what to say when you meet someone (hello, say your name and then goodbye). Don't you think they're fantastic singers! YR have been learning how to say colours in French AND in sign language. 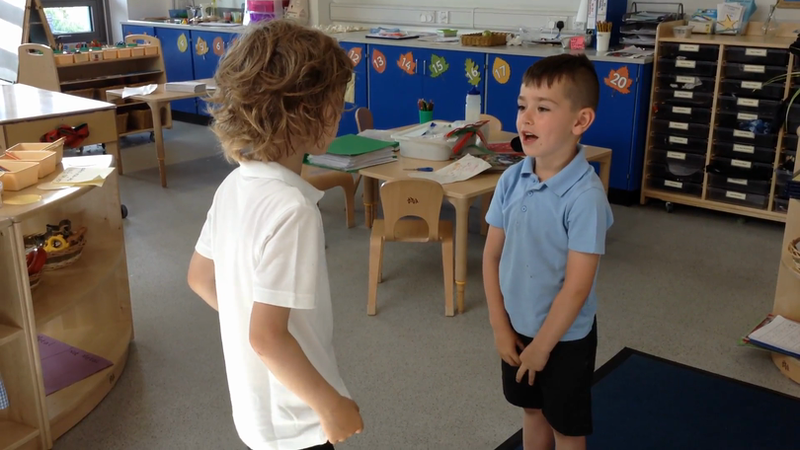 We've recorded ourselves singing a French colour song to help us to remember the colour names..
As part of our topic on The Fire of London, we have worked very hard on a role-play in French. We had to concentrate hard to understand and remember the words, but we managed it! Some of us volunteered to learn the main character, while others said narrator parts, and most of us were customers at the bakery. Even if you don't understand much French, you will probably understand the names of some of the items we have asked for! ITALIAN CLUB MEETS FRENCH SONG!! 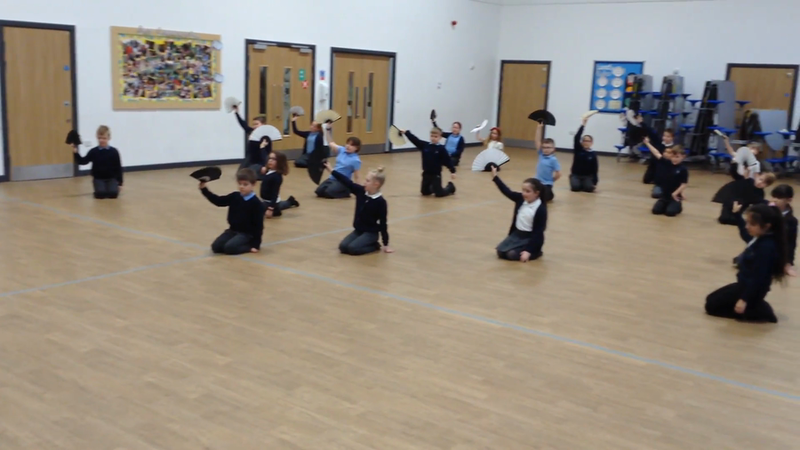 In Italian club, we have learnt 'Fra Martino', the Italian version of Frere Jacques. We tried to sing it in a cannon, with one half singing in French, the other in Italian. Hope you like the effect we have created! January 6th is known as 'Epiphany' in England, or 'Twelfth Night'. In France, it is known as 'La Fête des Rois', or 'The Day of the Kings' and is a special celebration very popular among children. A special cake, known as a 'Galette' has a small figurine or 'fève' (bean) hidden inside, and whoever gets the piece of cake with this in becomes King or Queen for the day (mind your teeth!). Lingey House celebrated la Fête des Rois by learning about this French custom, watching a French video of someone making a 'Galette', and watching children celebrate with a special song and dance in France. We had various Kings and Queens for the day. 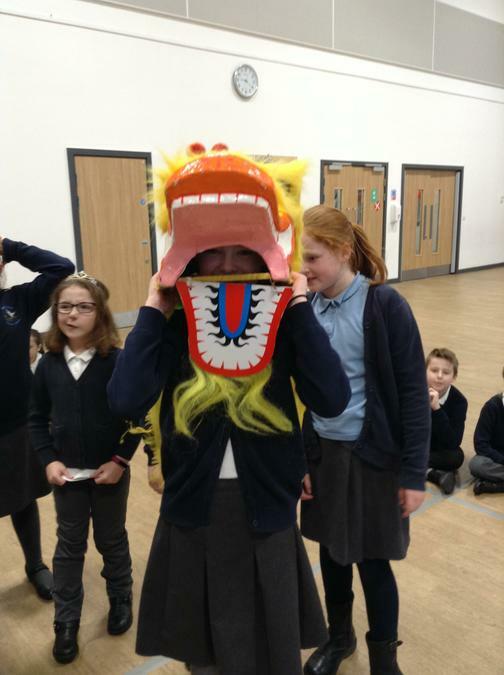 Here is a picture of our King from Year 2/3! 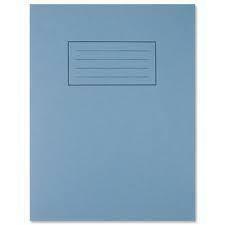 One of our topics for Miss Drummond and Mr Taylor's classes has been 'classroom objects'. 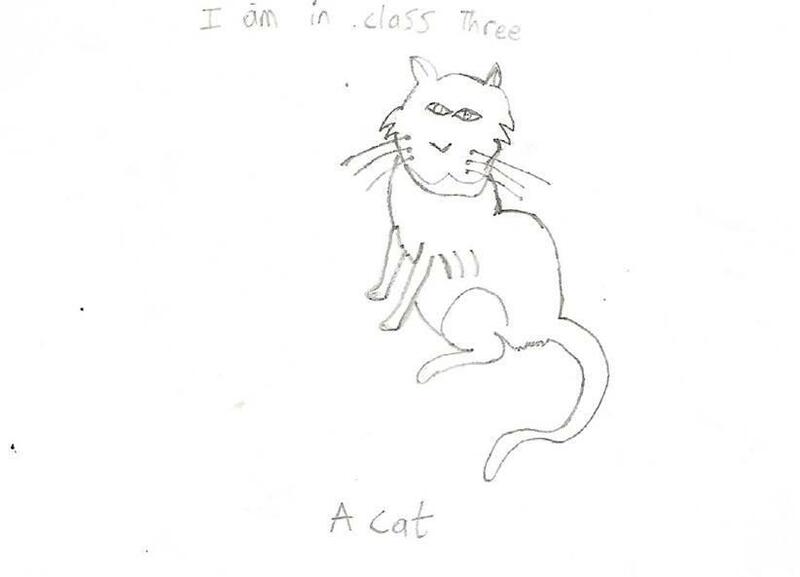 To give an opinion on an animal, you use the pronoun and verb (e.g. j’adore, or ‘I love’ in English), then the name of the animal in plural (e.g. 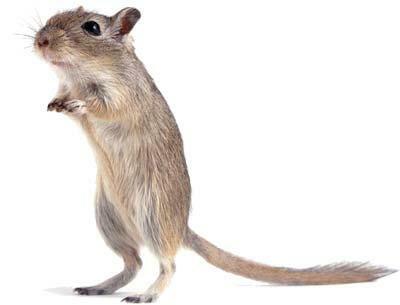 les souris). So, to say 'I love cats', you would just put the two parts together - 'j'adore' (I love) + ' les chats' (cats), so the whole sentence is 'j'adore les chats'. Can you work out what these sentences mean? Je n’aime pas les oiseaux. Can you make some up of your own? Thursday 26th September was European Day of Languages, which is a day to encourage lifelong language learning in and out of school. It is celebrated across Europe, among the 800 million people across all 47 member states! We looked at the book ‘Green Eggs and Ham’ in lots of different languages. Some words looked a little like English (‘maus’ and ‘haus’ are German for ‘house’ and ‘mouse’), but others were very different (the Spanish word for ‘goat’ is ‘cabra’). 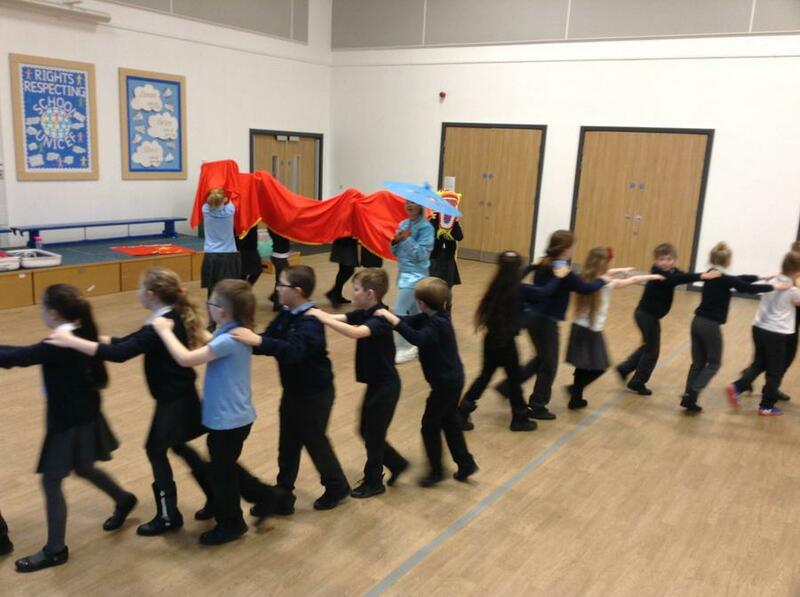 Each Key Stage 2 year group learned a line of the story in a different language. We all enjoyed looking at the books in different languages!